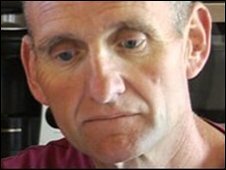 An Oxfordshire cancer patient who was denied a potentially life-saving drug on the NHS has now been told he will be given the treatment. Andy Crabb, who has kidney cancer, has paid out thousands of pounds for Sutent over the past few months. The Oxford Primary Oxfordshire Care Trust initially said it would not pay for the drug, but changed its decision after an appeal hearing. Mr Crabb, from Abingdon, was diagnosed with the disease in September 2007. He said he hoped his victory would encourage others to fight to get the treatment they wanted. "Everybody should be given the chance," he said. "If it doesn't work then you go to a different avenue." Mr Crabb, 50, enlisted the help of Kate Spall from Cheshire, whose mother was also initially denied the drug. At an appeal hearing, Ms Spall argued Mr Crabb's case had exceptional circumstances. "Oxfordshire has the harshest policy in the UK when it comes to new cancer treatment," she said. "So in Oxfordshire, sadly, I don't think this sets a precedent." David Cranston, a consultant urologist at the Churchill Hospital in Oxford, said he was delighted Mr Crabb had won the right to receive the drug on the NHS. "There are 7,000 new cases (of kidney cancer) every year," he said. "Some of those have disease outside the kidney and that's where Sutent becomes useful. "It is one of the few drugs that seems to have a good effect on that." The trust said it had now agreed to fund the treatment because of new clinical information. "Other patients requesting funding for Sunitinib will still be assessed and considered in line with the PCT's standard protocols and procedures," a statement said.